PRODUCT RANGE – Official Site Of Euro Global Foods And Distilleries Ltd. In 1986, history was made. A new brand had hit the stands from Sona Breweries Limited. It was a malt drink…but it was no ordinary malt drink. For the first time in Nigeria, a malt drink was enriched with Vitamin C. This innovation came at a time when vitamin C deficiency had been identified as a major health challenge in the country by the then Federal Minister for Health, Professor Olikoye Ransome-Kuti. For the first time Nigerians could enjoy the natural goodness and richness of malt drink with the extra benefit of health-boosting Vitamin C.
It was such a great and novel innovation that the Honourable Minister himself personally launched this iconic brand. Naturally, this parity-breaking malt brand was so much loved and very well received by consumers that it very soon became one of the leading malt brands in Nigeria. It also ‘forced’ other competing brands to also commence the enrichment of their brands with vitamin C and later on with other vital vitamins. When Sona Breweries was sold to Nigerian Breweries in 2011, ownership of this brand was, transferred to Euro Global Foods and Distilleries Limited. So, after a legally mandatory break, this pace-setting malt brand is making a BIG come-back under the stable of Euro Global Foods and Distilleries Limited, a proud member of the Sona Group of Industries. The malt brand has undergone further filtration, rebranding and perfection processes to give consumers that natural, smooth and pure malty taste that no other brand offers. Naturally, this great brand is even greater as it is now enriched with multiple vitamins including Vitamins A, B1, B2, B6 in addition to the flagship vitamin C. It is the ideal malt drink enjoyed by children, adolescents and young adults. It is also great for physically active men and women and the elderly. Ladies and gentlemen it is with great pleasure and excitement that Euro Global Foods and Distilleries Limited announces, Maltonic, the ideal family and generational drink is BACK! BIGGER! BETTER!! AND BOLDER!!! Maltonic is back to make you do great things. Don’t wait to be told, everybody and every family deserves the good life with Maltonic. Maltonic makes the party flow better. It makes food taste better, it refreshes like no other. Maltonic is the healthy food drink that has come to make consumers drink better, taste better and feel better. Maltonic is the only malt drink that gives you enough tonic to enjoy life to its fullest. Maltonic makes you do GREAT THINGS. Maltonic is the GREAT MALT, FOR GREAT PEOPLE! Take it. Drink it. Love it…and enjoy today and every day! Welcome to the new world of Maltonic! The premium vodka brand, born of an equally pristine primary ingredient which has been distilled four times, triple filtered twice to make it as ‘PURE’ as vodka can be; thus giving the brand a distinctive soft and smooth clean taste which makes it everyone’s perfect mixer. The Czar Vodka 75cl bottle was launched into the Nigerian market in October 2011. 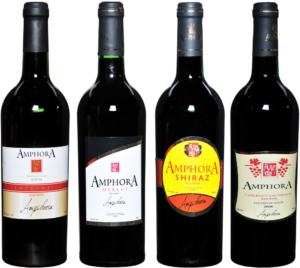 From the stables of Euro Global winery come the red and white Amphora wines. Our premium wines are the result of renowned experience and diversified agro- business, which has always been committed to quality. Amphora wines are an important aspect in cuisine not just for its value as a beverage but as a flavor agent as its acidity lends balance to rich dishes…..and as they say: ‘Drink to your heart. The wines presently come in 75cl glass bottles and a smaller size of 37.5cl. 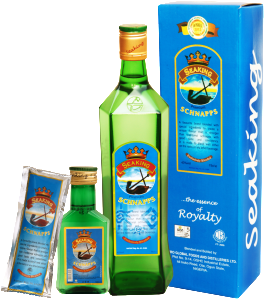 Seaking Premium Schnapps is a testimony to the company’s premium heritage. A toast to Schnapps drinkers all over the world. Our premium Schnapps comes in 3 sizes; 75cl & 37.5cl bottles & 3cl sachet. This clear spirit launched in 2008 is made from hundreds of healthy herbs, and always appropriate as an aperitif, an after-dinner drink or simply when you feel like it but most importantly in appreciation of our tradition. 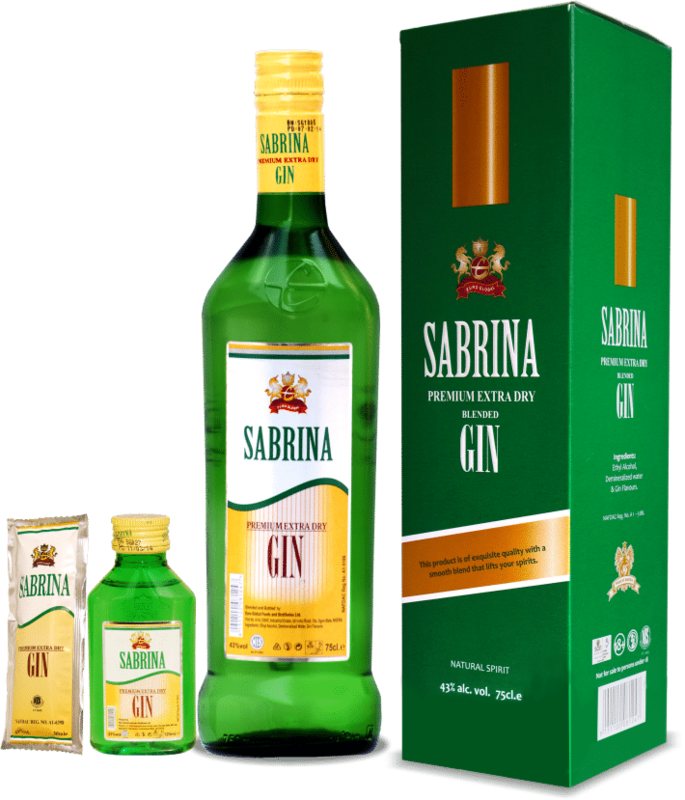 Gin lovers truly enjoy this premium extra dry gin which comes in different pack sizes; 75cl bottle, 20cl bottles, 12cl pet bottle and 3cl sachet. Sabrina which was developed in 2008 is one of the most available and highly acceptable brands in Nigeria. Using the finest natural flavouring ingredients which results in a unique blend, tripled-distilled, clear, crisp, strong with a smooth compelling taste, perfectly taken alone as a cocktail. Brave Heart Rum is a rich dark golden amber liquor blend that was introduced into the market in 2009. Brave Heart comes in these pack sizes: 75cl bottle, 20cl bottle, 12cl pet bottle, and 3cl sachet. It is meant for tough men who wish to dominate their zones because they know…’it is time to conquer’. Blue Lagoon Dry Gin is a well-blended crystal liquor that comes in beautifully designed unique bespoke 85ml bottle whose sky-blue pristine colour attracts even the the casual drinker to enjoy some exciting sips of its rich, mellow blend at every opportunity. Power Bitters is made from carefully selected exotic herb extracts, fruit flavours and specially demineralized water and alcohol to produce an exclusive blend that leaves the drinker with a special taste that only Power Bitters offers. Some of the ingredients are natural anti-oxidants that support healthy living. 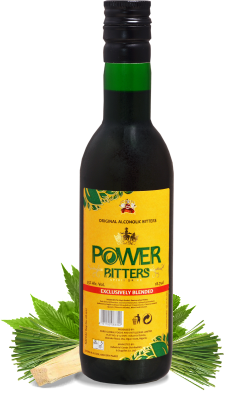 Power Bitters is Nigeria’s premium and highly exciting spirit-mixed drink. Loyal drinkers have since averred that Power Bitters is absolutely like no other. Savana range of carbonated soft drinks comes in five variants: Orange, Lemon, Mango, Pineapple, Apple and Soda water. These are variants that ensure all-round excitement for your palates. The kids particularly love it for its smartness and colours, while the adults cherish its wide range of excitement. With Savana, it’s fun all the way, while providing the necessary physical and mental boost. Euro Global acquired the Savana brand franchise in October 2011 in order to cater to the carbonated soft drinks segment. The company further rejuvenated the brand by investing in a new pet line and new design for its re-introduction into the market via new 50cl pet bottles.